About 800 homes are still without power across north Wales a day after the region was battered by storm Ophelia. 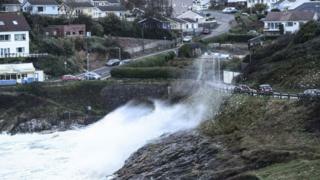 It led to widespread disruption on roads, rail and ferry services, which have now returned to normal. 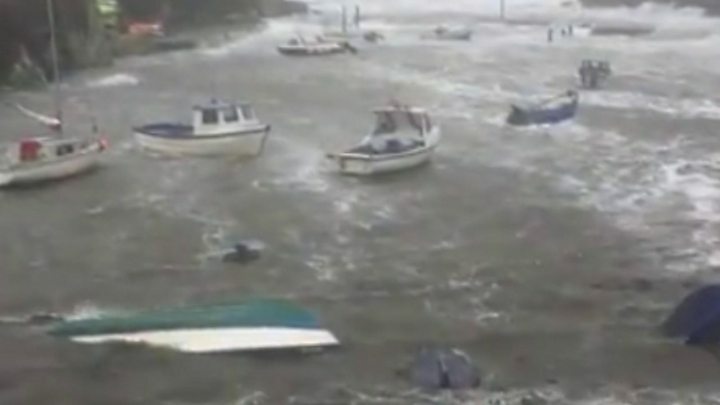 In Pembrokeshire, five boats sank at Porthclais, near St Davids, in what was described by eyewitnesses as the "worst" weather ever seen there. At Milford Haven marina, gusts of 92mph saw marina lock gates suffer "significant" damage. Hurricane Ophelia made its way from the Azores in the Atlantic Ocean on Monday but later weakened to a storm. Paul Sage, who owns a boat in Porthclais harbour, told BBC Wales: "If anyone had known the extent of it last night, we would have done something - hindsight is a wonderful thing. "It was awesome and really frightening." Harbour master Alun Pugh said they had managed to salvage two boats but moorings on the other five snapped. Three were smashed to pieces, while the other two suffered engine damage. "It was just horrendous. There's engines all tangled up and boat parts everywhere," he told BBC Radio Wales' Good Morning Wales programme. Services on Arriva Trains Wales between between Pwllheli and Porthmadog in Gwynedd have restarted after being suspended while a fallen tree was cleared from the line. Ferry services between Ireland and Wales have also resumed, after all sailings were cancelled on Monday. However, the main route through Llanberis in Gwynedd, the A4086, remains closed between Nant Peris and Brynrefail. Road agencies said it is likely to remain shut late into Tuesday evening, after damage caused a wall to collapse on the road. ScottishPower said it had restored power to 2,000 properties overnight but that it had extra engineers out. It was still working to connect 800 customers on Tuesday although about 4,000 were off at one point. Western Power said power had been restored to all of its affected customers. 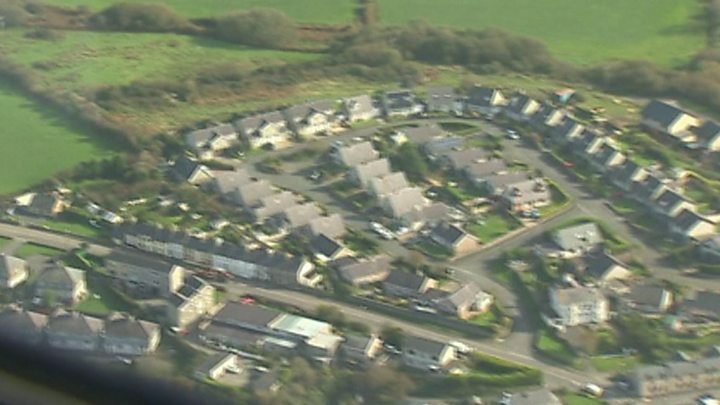 Power shortages have led a number of schools in Gwynedd and Anglesey to close while Ysgol Eifionydd in Porthmadog was shut due to a fallen tree. When the storm was at its height on Monday, BBC Weather said it had recorded a gust of 90mph (145km/h) in Aberdaron, Gwynedd. The Welsh Ambulance Service said a woman had been injured after being hit by a falling branch in Wrexham. At Milford Haven marina, the port authority said it was continuing to work to repair a broken lock gate, after it was battered by waves that reached a height of over 50ft (16m). "An initial attempt to move the damaged lock gate this morning has been unsuccessful; actions are being taken during the day to prepare for a further attempt at high water later today," said harbourmaster Mike Ryan. He also warned that navigation buoys in the Milford channels had been moved by the storm and must "not to be relied upon" by mariners until they had been relocated.